Since my computer died I have been at the library renting books (it's free you know? 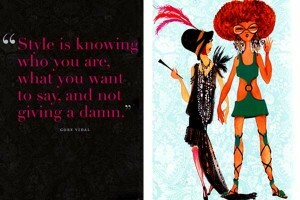 lol) and I came across this GOLD book from Nina Garcia called, The Style Strategy. I don't really like her on Project Runway but I decided to give it a chance, and MY oh MY I LOVE IT. 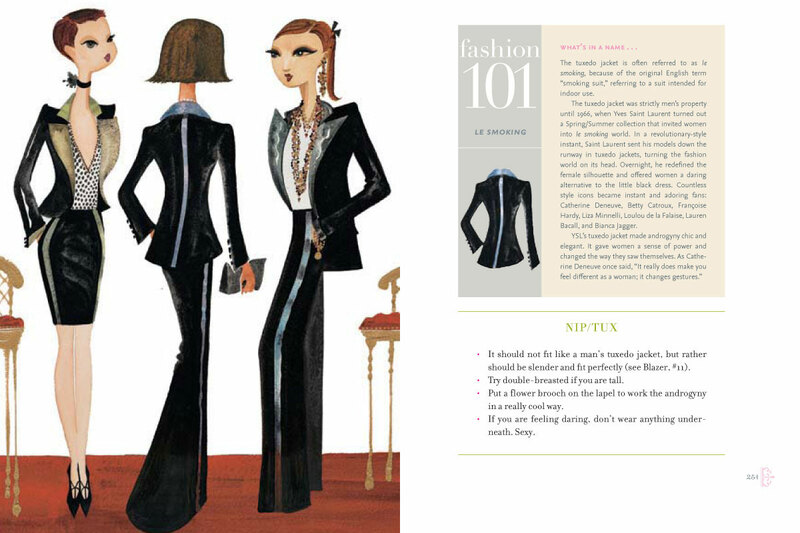 It is full of great advice on building a wardrobe, AND what inspired me was a section on revamping old clothes. Im at a point right now where that is what I needed to hear. And immediately after reading it I went and sewed a few new pieces, and discovered new pieces in my wardrobe. I LOVE the Graphics from Ruben Toledo, I'm thinking about buying this book! ALSO, I think it will come in handy for next semester, ALOT. I LOVE THIS BOOK. She kind of has a series of them, so I have to slowly start to check them out! oh I like this blog! good idea! lol I been stuck in all break and never even thought about going to the library getting books! Thanks for this post, I'm adding these to my booklist. Nina Garcia...!! I'll look for it! Casually this christmas I'm lookin' for good fashion books! I get the Valentino one!! interesting. I'm going to have to check those out! This book sounds and looks amazing! I'm a little obbessed with books like these so thanks for sharing, dunno if my local library is that cool though lol.